Until recently, former governors Michael Dukakis and Bill Weld were the most high-profile champions for a seemingly quixotic quest to get the North South Rail Link built. They’re well respected in Boston, but neither has much power in Washington these days. 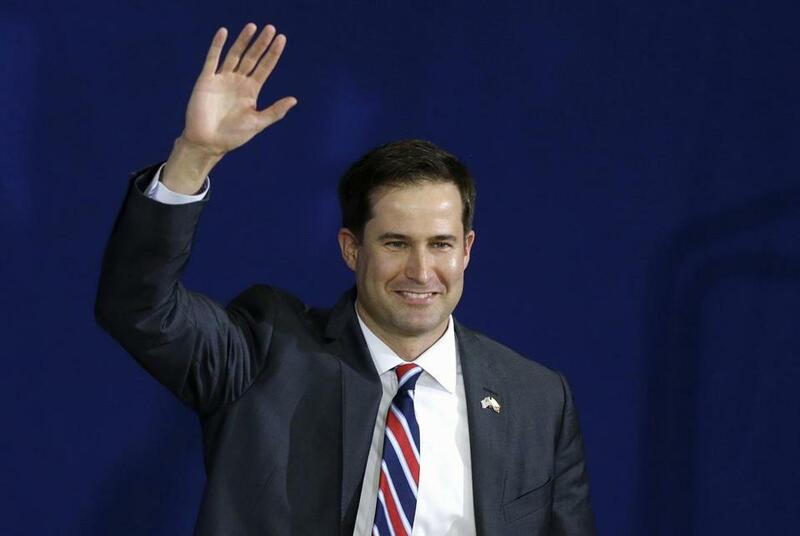 That’s changed now that Representative Seth Moulton, the up-and-coming congressman from the North Shore, has called construction of the multibillion-dollar tunnel to connect North and South stations a top priority. He argues that the link would significantly increase the capacity at South Station by allowing trains to continue to North Station and points north of the city, instead of having to back out of their parking spaces and go in reverse. The link, he said, would have the added benefit of stitching together the MBTA’s two separate commuter rail systems. Michael Dukakis and William Weld, former governors and rivals, are advocating a rail line that links North and South stations in Boston. “It takes longer to get from North Station to the South Boston Seaport than it does to get all the way from Salem to North Station,” Moulton said. The project would also create a seamless rail route from Maine to Washington. Given its regional impact, Moulton said, the link would likely attract crucial federal funds. The congressman also sought to draw a contrast between the project and Governor Charlie Baker’s push for an expansion of South Station. Speaking to reporters after the New England Council speech, Moulton said the South Station expansion would be “a historic mistake for the state,” adding that the money should instead be set aside for the Rail Link. That money question, of course, is a big one. Critics of the link suggest the tunnel needed to connect Boston’s two main transit hubs could cost as much as $8 billion. Moulton contends the expense would be closer to around $2 billion, based on the costs of similar tunnels in other countries. That would put it near the price tag for the South Station expansion, an estimated $1.6 billion project that would add seven tracks to the station. And Moulton described the project as a big real estate move, because it would avoid the need for additional railyard space near South Station to park trains. That space, he said, could be better used for new developments. Trains, meanwhile, could be stored away from the city, in less expensive real estate. Several prominent Boston developers have already lined up in support: Moulton’s office cites Robert Beal, the recently retired president of Related Beal and HYM Investment Group managing director Tom O’Brien. 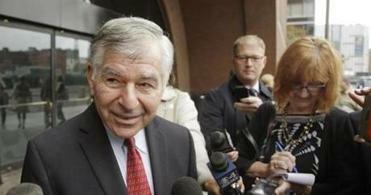 O’Brien said he became more interested when he saw the strong support from Weld and Dukakis. O’Brien knows many in Boston are gun-shy about big infrastructure projects because of the Big Dig’s ultimate price tag. But he said the Big Dig has transformed parts of the city in important ways, including opening up the South Boston waterfront for big developments. But Moulton still needs to persuade the Baker administration — and his colleagues in the state’s congressional delegation. Baker has expressed skepticism about the Rail Link, although his aides say he is keeping an open mind. A spokeswoman for the state Department of Transportation said her agency plans to move ahead with a $2 million feasibility study once the “scope of the work” can be finalized. As far as the delegation goes, Moulton’s presentation showed that Representative Niki Tsongas of Lowell is on board. Moulton said he’s getting hopeful signs from others. But Representative Stephen Lynch of South Boston could be a tough sell, particularly if it means giving up on the South Station expansion, a longtime priority of Lynch’s. Many business people in Boston still consider the Rail Link to be a long shot. Michael Rubin, a real estate lawyer at Posternak Blankstein & Lund, is among them. But Rubin said the fact that Moulton is now championing the cause helps its chances. “It makes a tremendous difference having a sitting congressman involved,” Rubin said. Correction: Due to incorrect information provided by US Representative Seth Moulton’s office, an earlier version of this story incorrectly included Bryan Koop of Boston Properties among developers supporting the rail link.